How many times have you heard the term (or one similar) “They’ve taken God out of public schools!”? I’ve heard it many, many times but so far it has failed to worry me. Don’t get me wrong, it saddens me that a teacher can actually get fired if he or she offends someone by praying aloud or teaching scripture in a public school. It saddens me that some school systems (not mine) have taken the phrase “under God” out of their daily Pledge of Allegiance. It frustrates and sometimes angers me that other religions seem to be tolerated so quickly, yet Christianity simply will not be tolerated in some public school systems. It makes me want to cry out “What are we doing?” But when I get completely worked up over laws and rights, I feel the gentle push of the Holy Spirit saying this to me: “When was the last time you were this sad over the fact that some kids never have clean clothes on? Were you this upset when the boy in time out over there didn’t come to school because no one got up to get him dressed and on the bus? Are you this passionate when the same child just doesn’t get it no matter how much you teach?” You see, if I’m not careful, I can so caught up in the idea of protecting my Christianity (which does have its place) that I forget to actually live my Christianity. And as a kindergarten/first grade teacher in a public school, I need to live my Christianity every second of every day. I’m not worried that God has been taken out of our public schools. God is all-powerful, all-knowing, and Omnipresent. He is everywhere all the time, no matter what laws politicians make up. No man has the power to direct where God can and cannot be. God is in our schools. Jesus is in our schools. He is in the hearts of His believers. His love shines through us. Us. We are to be Jesus to the world. So, to the Christian teacher in a public school, I am in no way telling you to break the law or hinder your job! But I am reminding you (and mostly myself! :)) that it’s okay for you to bring Jesus into your classroom. We may not be able to explicitly teach the Bible and prayer to our students, but we can live the Word. We can live the way Jesus calls us to live. That’s what He’s called us to do, after all! We are just seed-planters. He is the one who saves. So how do we plant seeds? How do we live the Word when we can’t teach about the Word? We love. Oohhhhh my, this is so easy for me to say right now as I sit in my comfy chair. After two months, I’ve conveniently forgotten that I won’t be sitting again for about 10 months. Farewell, comfy chair. It’s so easy for me to talk about loving when I haven’t met that child that’s going to do their best to make me dislike them. It’s easy to talk about loving when I haven’t been in a stressful parent meeting, data meeting, in-service meeting, faculty meeting, and collaboration meeting when I really just need to get in my room and prepare! But in order to show the love of Jesus, we are called to love. What does love look like in a classroom? I was really convicted of this a few years ago as I went around blabbing to anyone who would listen how much I loved kindergarten and how much I loved teaching. What does true love look like? “Love is patient, love is kind. It does not envy, it does not boast, it is not proud. It does not dishonor others, it is not self-seeking, it is not easily angered, it keeps no record of wrongs. Love does not delight in evil but rejoices with the truth. It always protects, always trusts, always hopes, always perseveres. Love never fails.” 1 Corinthians 13:4-8 How patient am I when my table is full of papers, files, and assessments and an unexpected parent meeting pops up during my prep time? How kind am I when the same child misbehaves time and time again? (That one hurts…) What about when that other teacher walks by with the perfect class in the hall and my class looks like a circus in comparison? Am I not just a bit envious? Or if it’s me with the perfect class, am I ever boastful or proud, even if it’s just in my head? I’ve just got what it takes to make these kids mind. My teaching must be top-notch…these kids are reading like second graders and it’s not even the first nine weeks! I’m soooooo good! With these verses above, I could go on and on about ways I don’t always show love as a teacher. I am grateful to a God who loves me in spite of me. And this year I am going to show His love, perhaps to little ones who have never experienced it in their own lives. I am going to be a seed planter, not by reading scriptures aloud at school, but by showing them in my actions. I am going to pray in my heart for patience, kindness, humility, trust, hope, perseverance… I am going to pray in my heart for my sweet little ones. You know the song “Jesus Loves Me”? There’s a line that I love. It says “Yes, Jesus loves me, for the Bible tells me so!” I’m so glad for His Word. I’m so glad that I can share it with my personal children, Parker and Peyton, and show them where it tells them that Jesus loves them. But what about those little ones who don’t know what a Bible is? How will they know that Jesus loves them? What about those little ones whose parents are so beaten by life that they haven’t shown their children God’s love? The Lord may place them in your room this year. He may put their name on your list. He may put them at my work table, in my story circle. I plan to show them the love of Jesus by simply loving them. Who will join me? Sharing with friends at purposefulfaith.com, Tell His Story, andholleygerth.com. This entry was posted in Devotionals, Teaching and tagged back to school, blogging, christian teachers, faith, family, God in schools, music, public school system, teaching, writing. Bookmark the permalink. I love this and have often said that God is indeed in public schools. To think that he’s not, really minimizes his power and omnipotence. If God is with us, he is with us everywhere, and no one, or no law, can take that away. If we want prayer in schools, then we should teach our kids to bow their heads and quietly pray. (And teach them about being kind to others and letting that light shine through them). Prayer is between us and God and no one can keep us from praying. We can pray wherever we are. We may not be able to pray aloud in all places but Jesus had some warnings for us about that…that we are to pray in private. Matthew 6:6 But when you pray, go away by yourself, shut the door behind you, and pray to your Father in private. Then your Father, who sees everything, will reward you. Thank you for expressing this far more eloquently than I have ever been able to. Of course the religious rhetoric made me feel ill, but if more people expressed their beliefs like this teacher we wouldn’t have had to press the issue of keeping religion out of our public schools so hard. God is truly everywhere- yes, even in our public schools. Look for moments when the students teach each other. While introducing a reading book last year, I asked the students in my group, “What makes a family?” One student replied, “Jesus.” Another countered, “God.” Still another said, “They’re the same.” “No, Jesus is God’s son.” I just sat back and let them continue. Thank you so much for reading and commenting! Have an awesome year. We in Moms in Prayer love to pray for YOU, teachers who are God’s own, so you can be strong lights of love and life. We don’t meet at the public schools but in homes, churches, and other gathering places. It is our privilege to love on you through prayer so you can love on our children. http://www.MomsInPrayer.org. That’s awesome, Laura! I hope your student teaching is going well. There is nothing like the privilege of being a teacher! As a Christian who also works in the public schools, I appreciate your words, we must pray for these children daily and fiercely and ask God to put a hedge about them! Thanks so much Bonita! I agree. This has been very helpful to me. I am a teacher in training and have been wondering where I could draw the line between my Christian allegiance and the demands of the school curriculum which are gradually becoming anti-christian. Fortunately, I got directed to this link and I am blessed. Thanks. So glad! Teaching is a wonderful profession. I’m grateful that this was helpful to you! God bless you! Thank you so much for writing this entry from your heart. I presently teach in a Christian school however I am not sure what next year will bring for several reasons. I needed to read the truth that God is everywhere. I know that but forget so many times. In fact when I taught in the public school I know God helped me to witness and love my students as well as my peers. I needed this reminder tonight. Thank you. Thanks so much Robyn! Teaching is a wonderful profession. I will pray for you as you go through changes. I’m so, so glad you stopped by and took time to comment! Reblogged this on GODS Hands And Feet. Thank you Paige for this blog and especially this article. I am also a Christian Educator. I have taught in a public middle school for 31 years and I am still trying to let them see Jesus in me. Middle School can be tough, but when I go to school each day putting God first in my life He seems to just ooze out all over everybody students, and other teachers as well. Thank you again for putting into words what I have believed for over 31 years. 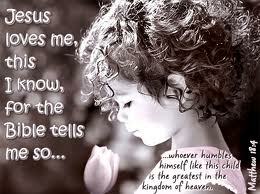 “Yes Jesus loves me” and because of that I can share His LOVE to all. Thanks Barbara! I hope you’re having a wonderful year! Thank you so much for reminding me that I am the hands and feet of Jesus every time I walk into that classroom. We teachers need to remind ourselves of this constantly, so that this world doesn’t succeed in its goal of making us forget. Thanks for reading Amanda!!! I hope you have a great semester!!!!! Well written Paige! As both a public school teacher and principal this subject has often been heavy on my mind. So often people simply don’t understand what the Law says so they lean on the media to help them. One voice in the darkness brings light to many. Keep writing! BTW Thanks for following my blog! I love having new friends! Thanks for your encouragement, Marie. I am enjoying reading your blog! I hope you are having an excellent school year! You’re welcome Paige! God richly bless you and yours! What an awesome post! After reading the first line, I was ready to respond, “They can’t take God out of the schools. If God is in us and we’re in the schools, God IS in the schools. As I read on, I was glad to see that that we were in agreement. God bless you and keep doing God’s work. Thank you for this beautiful reminder. 6years ago when I began teaching God reminded me that He loved first so I could show love. He places each child in our path for a reason whether for them or for ourselves. God is so good to love us well even when we don’t deserve it. I am going to work my hardest to let go and let God direct my steps, words and actions. Love first then all the learning will fall into place. Thanks Brandy. Have a great year! Separation of church and state. Forcing religion upon students is illegal. It is unconstitutional. People can be good and moral without being forced to read the Bible. Teach students morality, not Christianity, and you will be good teachers. Teach students they must read the Bible and accept Jesus or they will go to hell and you will spread bigotry and hatred. There are moral Muslims, Jews, and Athiests if you will just be as accepting as Jesus was. Historically, the separation of church and state was designed to protect the church not the state. I am a Christian teacher in a public school as well and nothing about my job is easy but it is by the Grace of God that I go back year after year to show authentic love and acceptance to my students regardless of their race, religion, behavior, or aptitude. That is what the Love of God looks like and to say this type of love breeds bigotry and hatred could not be further from the truth. Nothing in her article said she was forcing her faith on her students. You added that part yourself along with your own bias and opinion. Be careful not to justify your anger and hate saying that you are protecting others from anger and hate. One of the reasons why I became a teacher is for the students who’s parents don’t give them the love and guidance they need. I always tell my kids to make good life choices, go to college, don’t party, dint make stupid decisions like drinking and definitely don’t drink and drive. I talk about their future. I have rules me guidelines set in place about the language that is not to be used in my classroom. I never once have had to spout off bible verses for my students to know that I am a Christian or that I love them. God is definitely in our schools and always will be. They can take his name out, but they can’t take the Holy Spirit out. They can’t take him out of our hearts. They can’t stop us from loving our students. That’s why God will ALWAYS be in our public schools. Thank you for posting. I’m in. thanks for a great letter. I have never understood how it is said God has been taken out of public schools. A forced Christian curriculum on all was removed after children of different faiths were made to feel unaccepted in their school. God is everywhere and public schools do not discriminate. We teach all His children and do not judge them as godless because they may have a different faith, or have never been introduced to a faith. We teach the good, the bad, and the ugly ,if you will. God has a plan for all. Maybe, only a moment of silence is offered daily for prayer in our county schools, but if a child chooses, he is allowed to pray silently as Christ taught. Not to be seen of men as the Pharisee’s, but an unseen prayer from the heart. God is all powerful and makes His will manifest without a group deciding only they have His ear; or must separate themselves from those they deem less worthy who might taint them. Teaching is a calling no matter where one teaches if done with pure love and lives are blessed. May all teachers feel the weight of their calling and bless lives. Have the best year yet! Just now seeing this and even though it is an old post, I wanted to comment and just thank you for your heartfelt words. You are so correct… As long as we as Christians continue to live and love as God instructs, He is there… He cannot be taken from our hearts!!!!! I love your reminder that God is everywhere, therefore He even remains in our schools regardless of what the lawmakers say. You keep pressing on and planting those important seeds. I so agree this is the way to accomplish that: “not by reading scriptures aloud at school, but by showing them in my actions.” Blessings! I agree with your comments except for one thing. It is not true that some school boards have removed “under God” from the pledge. This is a myth spread by people who want to discredit public schools. In a few places students have sued to have it removed but they have lost. I am not a teacher, but my brother is a superintendent, my sister in law teaches, and I have other family members who are directly involved with our school. God is in school. Not just with the staff and admin, but students pray in school too. Great article! What a wonderful post and reminder to me as we begin a new year! Thank you! Great thoughts and very helpful! Allow me to offer a suggestion with no hint of criticism, consider breaking your posts into smaller paragraphs for easier reading. It’s easier on the eyes. Blessings on you. Thank you for the encouraging letter. One thing I would like to mention is the fact that “showing God’s love” can be misleading. Since we are not allowed to talk about God or Jesus at school, it’s easy to think that if a teacher is kind and loving, then she/he must be a Christian, showing God’s love. Not necessarily so. I made the mistake of telling one of our teachers “you are the best Christian I know,” judging by how thoughtful, caring, selfless, compassionate you are to the students and staff. Well guess what she said in response? I’m definitely not a Christian. I’m an atheist. Christianity is for people who don’t have the intelligence to think through things on a deep level. From then on I realized that just because someone is loving, kind and compassionate does not mean they are a Christian. The phrase “you don’t have to say a word to let someone know you’re a Christian…you simply show them you’re a Christian by the way you live your life” is very deceiving, as well. We actually must verbally tell people about Jesus in order for them to know we are Christians. In a setting, like the public school, we MUST also pray, on our own time, for each individual student, situation, etc. and then watch God move. I keep a prayer journal at school, hidden, sadly, to make notes of the specific students and staff that desperately need a move from God in their lives. Thank you, again, for the encouraging words to help us remember that being a Christian in a public school is a high calling from God….a very, very difficult, but still a high calling from God. This calling has radical eternal value, for sure! I was feeling frustrated until I found this site. I like the idea of a prayer journal. Thank you! This is a valuable blog/site and encouraging Christians who teach in the public sector. You hit the nail right on the head! Thank you for the timely reminder as I head back to my first grade classroom in a couple weeks! This also works for nurses. You minister to patients and their families holistically physically and spiritually. It is wonderful to see a physician take a patient’s hand and ask if they can pray with them. We are now attending cultural diversity classes to help us become more aware of others. You are correct when you say God is everywhere and He not only opens our heart but also our eyes. Teachers, we in trust you with our most valuable treasure, our children. Please keep them safe. Sorry. New. Should have written this here. This is so true and wonderfully expressed. As an elementary teacher, I share your vision and mission. It is especially encouraging to be reminded as we head back to the classroom in a couple short weeks! May I have your permission to share this on my site: afiercequest.wordpress.com? Yes! Please and thank you for the encouragement!!! So true and beautifully expressed. An excellent reminder as we head back to the classroom in a couple short weeks! May I have your permission to share on my site: afiercequest.wordpress.com? I so needed to read this as a new school year quickly approaches. I pray that God’s love will flow through me to all the children I have the opportunity to teach this year and the years to come! Thank you for writing this! You put into beautiful words what’s been trying to form in my mind. I hope your year is wonderful!!!!!! I used to work as a high school secretary and my prayer everyday was that those I came in contact with would see Him in me. You have spoken words of wisdom here and given me pause to think. God bless you as you begin a new year! I have to admit, on the down side of my career I’ve recently been troubled that I haven’t sensed that same anticipation as this school year approaches. Thanks for reminding me that teaching is my ministry, and what forms it may take. Through you, Christ has given me the encouragement I need. Thank you. It often troubles me to hear Christian parents (on behalf of their students) and teachers decide to remove themselves from the supposedly ungodly influence of those secular public schools. We are to serve in such surroundings, not escape from them! After all, Jesus asked (John 17:15) for His disciples, “I do not pray that You should take them out of the world, but that You should keep them from the evil one.” We are to be lights in a lost world. That’s my calling as a servant of Christ and public school teacher. Reblogged this on A Fierce Quest. I love this post! I have always said that as a teacher if my kids just know what I taught them, then I have failed. However, if they know what I taught them and can remember how I loved them, then I have succeeded as a teacher. Thank you, this was exactly what I needed to read to get my attitude in check! “The System” can feel so oppressive at times…it’s truly a battle-field for which we must always be prepared with our Spiritual Armor. Thank you truly, this has helped pull me from a sinkhole of frustration! I’m so glad! God bless you! After many years of homeschooling then teaching at a community college, I am now in a public elementary school environment. I read your blog this morning. It was a blessing, encouragement, and challenge. May God continue to bless you in all your ministries He has given you.